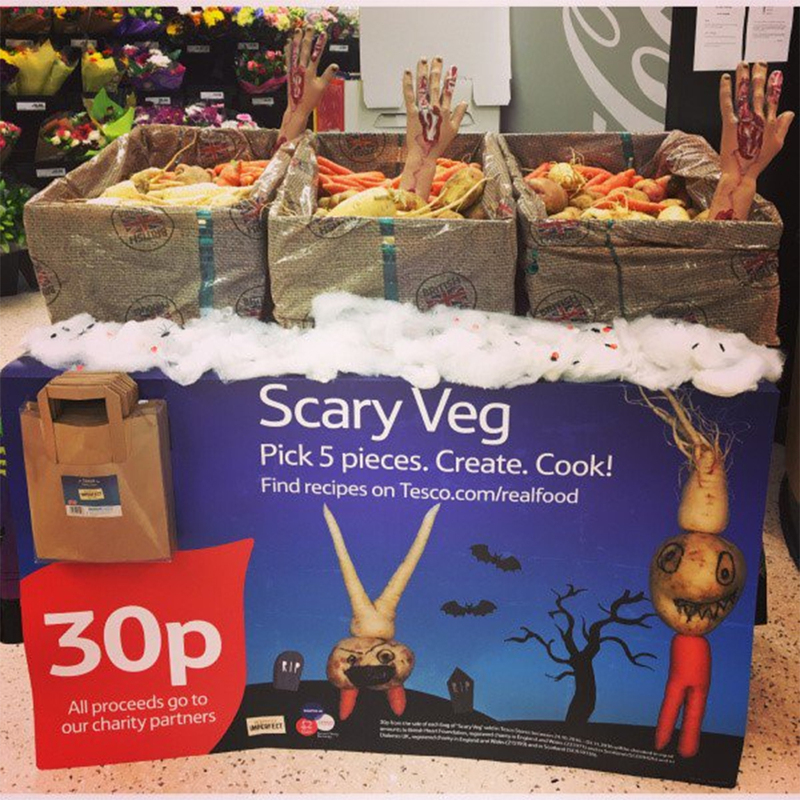 Tesco are currently selling "scary" veg for 30p per massive bag, as part of their scheme to stop food waste. 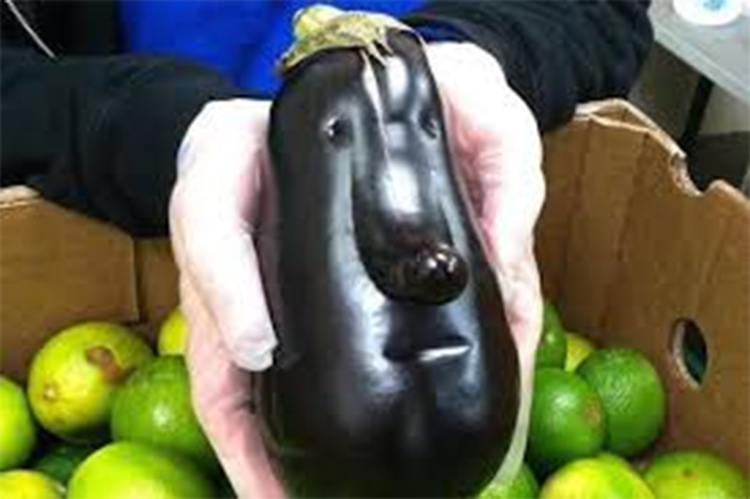 Tesco, who earlier this year announced they would be committing themselves to zero food wastage, are now selling "ugly" vegetables for ridiculously cheap prices around the country. One customer says they managed to get 6 large baking potatoes, 8 carrots and 4 parsnips into a bag, which they then bought for 30p and turned into a stew. Any excess food that they don't sell will be donated to charity. Their 30p per bag of misshapen vegetables isn't their only massive discount on offer. As part of their discounted prices for their "Perfectly Imperfect" campaign, you can get weirdly shaped potatoes for just 90p for 2.5kg, whereas normal looking potatoes cost £1.75 for the same amount of delicious potato. That's a 40% discount you can grab yourself, if you aren't worried about potato aesthetics. Wonky parsnips will now cost half the amount, at 30p for 500g, where beautiful parsnips will cost a staggering 90p for 750g. If you're really bothered about how pretty your parsnips are, it's going to cost you twice the price than if you don't care. Other fruit and veg that are discounted includes carrots and apples. If the beauty of your vegetables STILL really bothers you, even at these discounted prices, we recommend you drink till they're pretty, to secure yourself a big discount. In another good guy move, Tesco have also pledged to give their surplus food to charity. The supermarket, the only one in the UK to announce how much food they have wasted, says they wasted around 55,400 tonnes of food last year, and around 30,000 tonnes of that could have been eaten (around 70 million meals). The firm has been running a "community food connection" in 14 stores in the UK over the last six months, and have donated over 22 tonnes of food (50,000 meals) to local charities. They will now roll this out all over the UK, in a bid to end food waste from their stores. Tesco and FareShare (who Tesco are partnering with) are appealing for 5,000 charities and community groups to join up and receive the surplus food. Tesco are also calling on other supermarkets to follow suit, to end food waste at all stores in the UK. France recently banned food waste altogether with a law forcing big stores to donate their food to charities and food banks instead. Currently a lot of other supermarkets (including Waitrose) use a process of "Anaerobic Digestion" to dispose of unwanted food, rather than donating it to charity. This sees the food broken down to gasses and used for energy, rather than eaten like a food.